Whilst at the Royal Academy of music, Roland won several competitions including the Julian Bream Prize, and he was awarded a scholarship for advanced studies after completing his degree. Since then he has pursued a varied career based around performing and teaching. 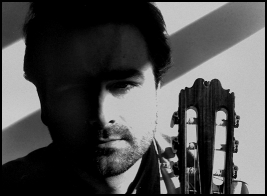 Roland is a leading player in the field of guitar chamber music. For ten years he was leader of the English Guitar Quartet; he currently leads the Segovia Trio, now in its seventeenth year. He also works regularly with flute, voice and string quartet. Roland has recorded Rodrigo’s ‘Concierto de Aranjuez’ with the London Philharmonic Orchestra. Roland plays at London’s major concert halls including the Wigmore Hall, Albert Hall, the Barbican and the South Bank. He has toured Hungary, Israel, Australia, Canada and Germany. Over the last few years he has broadcast live on Radios 2, 3, 4, and Classic FM and appeared on television. He has worked regularly with the Royal Ballet and has appeared with them at the Royal Opera House, on tour and on film. Experienced in the field of education Roland wrote material for Reading University’s Music Teaching in Private Practice course. In addition to giving master classes and examining at the major music colleges, he is frequently invited to adjudicate at music festivals. 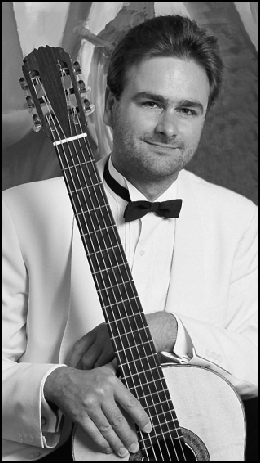 In 1992 he was appointed Professor of Guitar at Trinity College of Music, and he also teaches at the Purcell School where he coaches highly gifted young guitarists from all over the world. Well known as an arranger, Roland has produced over 300 arrangements and transcriptions, mostly for guitar ensemble and ranging from student repertoire to concert material. Over the years he has worked with many composers to stimulate new material for the guitar. Those that have specially written works for him include Martyn Brabbins, Tim Brady, Jim Harley, Stepan Rak, Jeffrey Sharkey, Roger Steptoe, Antonin Tucapsky and Arthur Wills. Currently in preparation is a CD with the flautist David Oliver. The recording will include several of Roland’s arrangements, and pieces specially composed for the duo by two composers who are well known for film and TV music: Peter Morris and Paul Farrer (The Weakest Link, Dog Eat Dog and The Enemy Within).